Welcome to the Seasonal Stitch-A-Long! This is a very informal SAL for lovers of seasonal designs. The idea is simply to stitch a seasonal design each season so we build up our collections of finished pieces and work through our stash piles! There are no set SAL days as we all have different obligations. There are no set rules either. Pieces can be as big or small as you like. 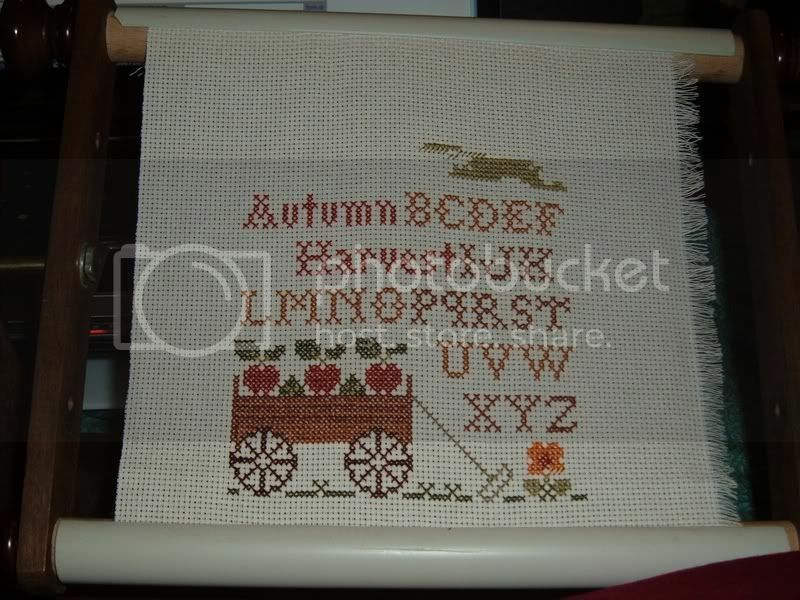 You can stitch one or many per season. If you have a very big piece you might want to carry it over through several seasons to get it finished. That’s OK. This is just about having fun. Each season’s SAL will last for three months before moving on to the next season. Please feel free to join in by sharing stash, WIPs and finished pieces! We’d love to see seasonal displays too. To be able to post to the blog, email Nicki. Please allow 48 hours for me to reply. If you haven’t heard after a few days please try me again as your mail may have got lost! Season of Plenty and Autumn Harvest I wish everyone a happy new year! 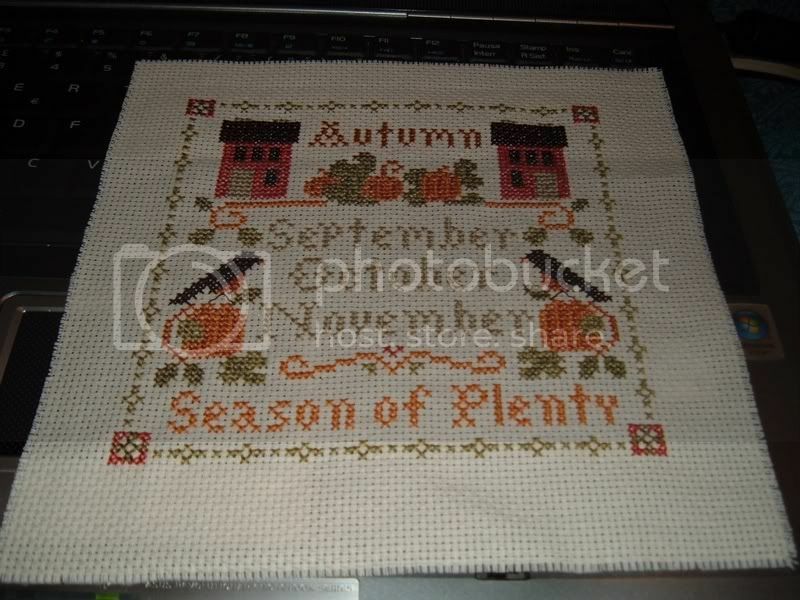 And speaking of new year, someday in febrauary '09 I'd like to start stitching Royal Holiday by Mirabilia and have it finished by Christmas Eve. If anyone of you wuold like to make a SAL with me I'd love it! I've finished my Twirling through the seasons, by Tina Wenke .